Becoming a CPA is a process that extends beyond education into examination and licensure, and then maintaining that licensure throughout the years. Our comprehensive guide will give you the specifics of how to earn your CPA in the state of Nevada. In addition you'll need to take three semester hours of Business Law. Because the educational requirements are strict and specific it's a good idea to work towards your Master's degree as you earn your CPA. That way by the time you pass the exams and other licensure requirements you will be highly qualified and stand above those in the field who only hold a bachelor's degree. Once your exam fee or fees are processed within four business days you'll receive a Notice to Schedule (NTS) from NASBA and can schedule the exams you applied to take. You will need your NTS to enter the exam site so keep it in a safe place; you must schedule within six months of receipt. Nevada CPA exams are given by Prometric and you will schedule through their website. Prometric has testing facilities in both Las Vegas and Reno so you may choose the location that is most convenient. You should plan to arrive an hour early for the exam. Each exam section is four hours long, and you will only be allowed to bring your NTS and personal identification into the exam room. All other personal items will be stored in a secure locker during the test. As soon as the scores are tabulated you'll be notified of the results; you need to score at least 75 percent to pass each section of the exam. In addition to the CPA exam you'll need to take an ethics exam given by the Association of International Certified Professional Accountants (AICPA). This exam is based on a self-study course that is approximately 11 hours in length; the exam is open-book and you must pass with a minimum score of 90 percent. This experience must be performed with professional standards and verified by a CPA. Four years in governmental accounting or internal auditing work, verified by a CPA. Once your application is processed and approved by the Nevada Board of Accountancy you will receive you certificate and be a licensed CPA in the state of Nevada. Nevada requires 80 hours of continuing professional education (CPE) over a rolling two year period. This means if you provide proof of 30 hours of CPE in one year you'll need to provide proof of 50 hours of CPE the next with a minimum of 20 CPE hours in a given year. A minimum four hours of the CPE must be in Ethics; depending on when you passed the Ethics exam your ethics CPE will be due the following year. In addition if you participated in any audit, review, attestation, or full disclosure compilation in the past 12 months you will be required to complete eight hours of CPE that focuses on auditing and accounting. Non-Credit Courses - Each classroom hour equals one hour toward the requirement. Speaker, Instructor, or Discussion Leader: actual preparation time is allowable up to double the presentation time. For example, a total of three hours is allowable for the presentation of a qualifying hour of in-class credit. You can find eligible CPE at accredited colleges, accountancy organizations, NASBA’s National Registry of CPE sponsors, the Nevada Society of CPAs, and similar organizations in the field of accountancy. 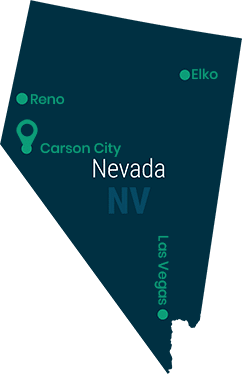 Because CPE in Nevada is compiled during a two year period you should also track the number of hours attained in the first year along with the number required in the second year to reach the total 80 hour requirement.